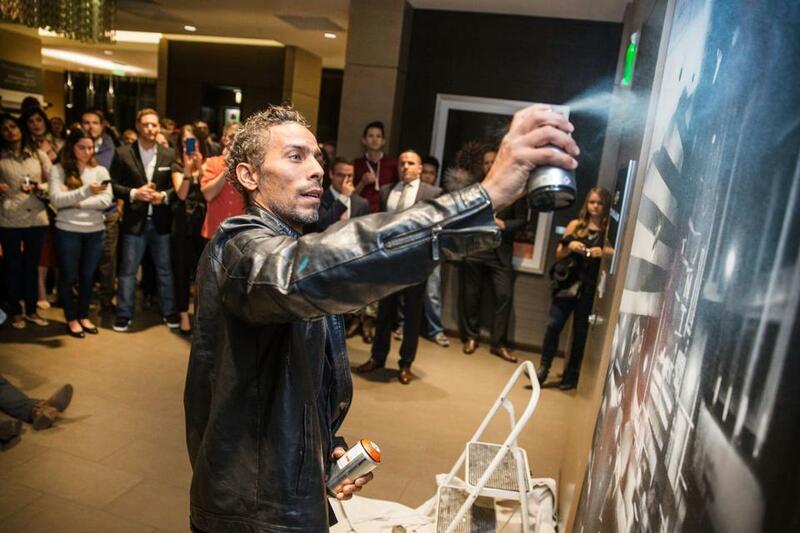 Artist Percy Fortini-Wright put the finishing touches on his mural, "Paramount," in front of residents and guests at The Kensington in Downtown Crossing. 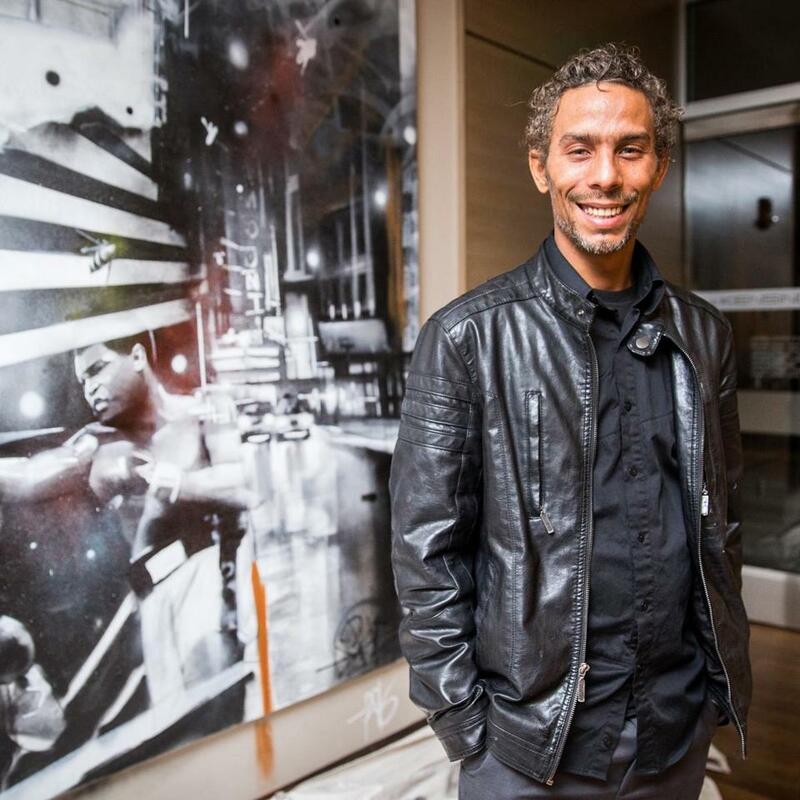 Residents of the the Kensington, the luxury apartment complex in Downtown Crossing, may have been alarmed when Percy Fortini-Wright showed up with cans of spray paint. Not anymore. Fortini-Wright, who was a graffiti artist in his youth, put his considerable talents to use to create a new mural at The Kensington. The work, titled “Paramount,” pays homage to the late, great Muhammad Ali as well as to the Paramount Theatre, which is located a few doors away. Percy Fortini-Wright with the mural.